Not So Polite Dinner Conversation – us atheists haven’t heard a “clear logical defense of Christianity”?? 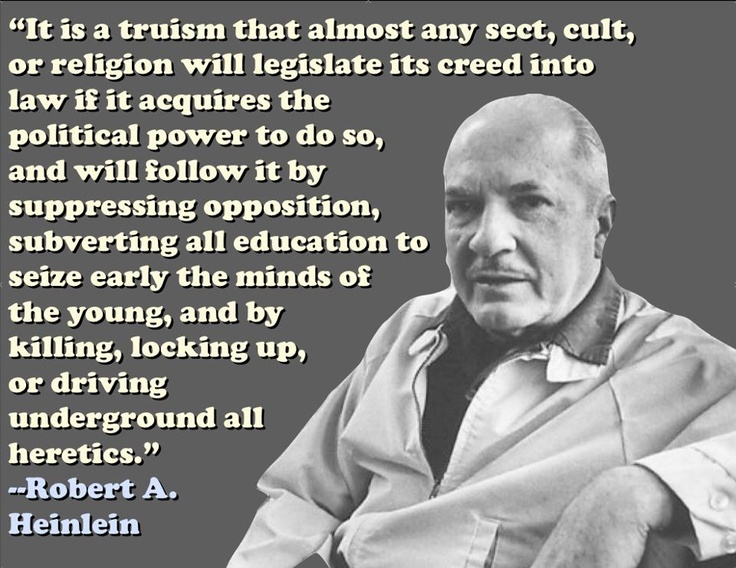 Heinlein was a little too wanting women barefoot and pregnant, but he did get it right about religion. As my title says us atheists haven’t heard a “clear logical defense of Christianity”. At least that’s what good ol’ Ray Comfort says. He wants Christians, and atheists, to come to his failing Ark and listen to what he claims to be this unicorn, since, no, there isn’t any such thing as a “clear logical defense of Christianity”. Even Christians can’t convince each other that they have the “right” answer and the “right” Christianity. Now, this supposedly will be a 5 day conference over Easter weekend “This five-day conference also features a Good Friday service with our President, Emeal (“E.Z.”) Zwayne, and a free Easter sunrise service on Sunday morning, which you can attend even if you can’t make the conference!” and will have the Answers In Genesis people there too. I wonder, can we have a fight between old earth Christians and young earth ones? For this being a “five day conference” you get a total of 14 hours of rehashed stuff, maybe seen Ken Ham for two hours (or pay an extra fee as is likely) and the rest is movies and preaching, or expecting you to get your own food since that’s not covered either. Now this “priceless” bit of nonsense is: $500 for a family (only families that are approved of AIG, of course, and only one child gets to eat free per adult who buys food at the museum), or $250 for a couple or $199 for a single person. This is of course not including lodging, and gee, you get tickets to see something you’ve probably seen before, the failed Ark. Of course, there is an upcharge for “certain events” not defined. Oh and we mustn’t forget the 20% off of the crap in the souvenir shop. One of the speakers is Jason Lisle, who actually has a PhD in astrophysics, and not so strangely has not published one paper on how that idiocy happened, but plenty on how the sun actually works. So much for that long promised “evidence” for creation that AIG, and other peddlers of lie claim to have “real soon now”. They also have one other scientist, Georgia Purdom, who sadly has a PhD in molecular genetics, but has chosen to study “She seeks to understand the original, created, “very good” roles of bacteria in the pre-Fall world and genetic mechanisms that have led to their adaptations and pathogenicity in a post-Fall world.” It appears she is studying evolution, but well, don’t all it that, and well, hers has to be by magic. It is no surprise at all that neither publish in peer reviewed journals anymore. They know that their creationist nonsense won’t pass muster, so they hide in creationist magazines. So, we have Living Waters charging more money for what they’ve said before, and what has failed before. 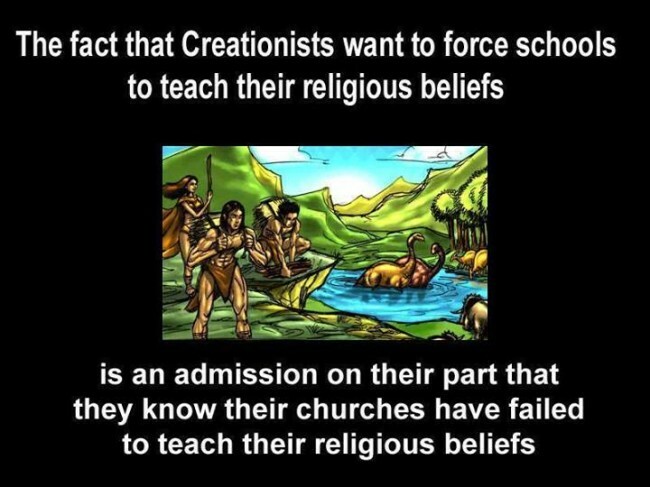 I’d be happy to give an education on creationist claims to any one who wants it entirely for free. For you see, Ray won’t be saying anything new; Ray has published the same stuff for decades, and the last time he wanted to educate atheists, he tried to put a certificate for a Subway sub in his book just to get people to take it, wasn’t allowed and failed miserably (he did give the certificates to the homeless after being shamed into it). They just want your money for their “megaconference”. I have run conferences. If you need more than 15 minutes between topics, then you are just padding things to charge more. Nothing like TrueChristians(tm) cheating each other. I’ve occasionally used the posts of a Christian minister to riff off of when it comes to showing how strange Christian arguments about their god and their religion. It’s a way to have an actual Christian’s quotes to review and to point out how their claims don’t always work out quite like they intend. For those who may not be familiar with the term “Pollyanna” it is from a movie, and has come to mean someone with a overly optimistic outlook, that every thing is wonderful and perfect, generally considered someone more than a bit naïve. Pastor Dave has had a series of posts about creationism and his religion. This is the most recent. The basic argument is that the universe is evidence of this version of this religion’s god and that it is a result of this god’s “greatness”, which is a rather vague term, and its “goodness”, which shouldn’t be too hard to define but with many Christians, anything that this god can be claimed to do is “good” by default, a very circular argument. Now, considering what we know of the universe, it often isn’t very pleasant, and indeed, 99.999999999999…% of it is inimical to human life, supposedly this god’s favorite “creations”. It includes the vacuum of space, guinea worms, gamma ray bursts, flesh eating bacteria (a some awful photos), water that is very deep with great pressures (also pretty gross), temperatures of millions of degrees and of many hundreds below zero, toxic gases, toxic liquids and things with lots of unpleasant venoms. It takes an amazing amount of pure willful ignorance to try to make this argument, and an assumption that people are either too ignorant or simply too unintelligent to question it. It could also simply be a lot of pure malice to control people by telling them such nonsense. It also shows that the religious must try to convince themselves that they are special and above all other humans. It’s not hard to see through history just what such ideas have done to humanity. Really? Goodness, kindness, compassion and love. In this world, shown by this god. Hmmm. I wonder, can we tell this to the children who have their body parts cut off in Africa? I guess the sparrow gets cherished and screw the children. I guess it’s easy if you are comfy in a first world country to make such baseless claims and need external validation for your religion. We also have the claim of predestination, which means that this god intends that everything happens as it does and approves of it. I guess again, this god needed children who were made amputees in one of the worst ways possible, hacked by a machete. “Providence describes the way in which God is concerned for the well-being of his creatures and so orders and sustains the very detail of Creation. Providence is a consequence of God’s Will and Decrees. In other words, everything happens because God predestines it.”. 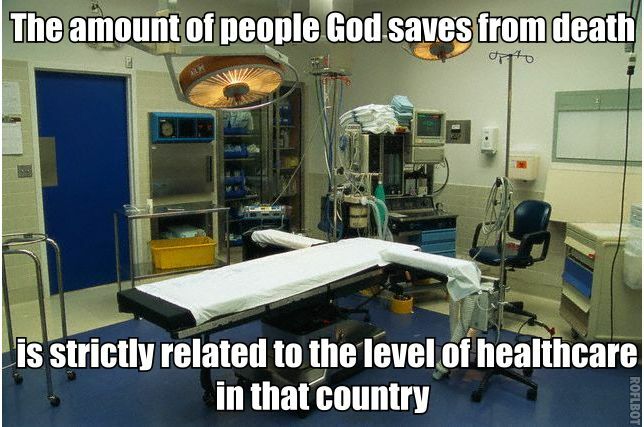 and we are told that miracles do occur and are “natural” and are part of predestination. In that there is no evidence for miracles period, there is no reason to think they real, much less natural or supernatural. Having been a Presbyterian, I know quite a bit about the claims of Calvinists and predestination, which is nothing more than excusing a god, and declaring oneself to be extra special that one will be saved because this god chose you. They aren’t much different from the Jehovah’s Witnesses in this. And many Christians are sure that predestinationalists are entirely wrong. Pastor Dave also wants us to know that this god works through “intermediate means” like him. What he doesn’t explain is how does this work when pastors like him don’t agree on what this god wants. He also wants us to believe that this god works through “processes of the water cycle and crop generation to bring this about”. Hmmm, if this god can do miracles, why does it rely on natural processes that show that the claims of its bible never happened at all, and why does every other religion claim that their gods are responsible for the same natural processes? And why do these natural processes fail sometimes and we have famines? He also doesn’t quite get the “god of the gaps” idea. The God of the gaps is a term where non-Christians have noted that the claims for his god aren’t true, and this god is only now able to be claimed as cause for processes we do not understand yet. He wants to claim that his god is controlling all natural processes but that doesn’t work out very well for him because he wants to pick and choose when his god does something magical and when it does something by natural processes. It’s awfully convenient to cherry pick like that, insisting that coincidence should be considered a miracle, and then be able to show no evidence at all that this god does anything. It’s also quite funny to see him declare that his version of his god created a “mature universe” aka as it is right now,, when there is no evidence of that at all and indeed plenty of evidence that the universe became what it is today and wasn’t always this way. Why some Christians try to lie about such things, when accepting the same science that shows that the universe has changed, as long as it makes them comfy, is rather ridiculous. As for an orderly universe, yep, it does have certain physical laws that seem to control it, however, it’s a bit of a bummer when a star goes supernova and destroys what is around it. This post is an answer to a post I found while rummaging through WordPress’s accumulator for posts on “atheism”. It made some of the classic bad classic false claims that many Christians make so I thought it would be a good example on how to respond to such things. Again, plenty of these point have been made in my other posts, so read if you want, you may not find that much new. I also decided to post it here because it’s fairly common to have a theist not release a critical post from moderation. It’s long. Go fig 🙂 I’ll have a post about drinks and food tomorrow. I’m an atheist. I’ve been one for decades now, since I lost my faith in Christianity I saw your “open letter to an atheist” and thought I’d respond. I don’t know if you’ll allow it through comments or not. I’m going to post this reply on my blog with a link to your post. I do hope you will allow it to be posted as a comment but will not be surprise if you do not. This is a long comment, but I wished to address your claims and use examples. I do not only claim that your god doesn’t exist, I have plenty of evidence that indicates this e.g. there is no evidence for the essential events of the Judeo-Christian bible. You make a false claim that I, as an atheist, blindly accept the explanations offered by the sciences about how everything started and how everything works. I do not blindly accept anything, even from the sciences. I have reason to trust the sciences because the scientific method works and I regularly benefit from its accurate descriptions of reality. You benefit from this too, but you try to decry science when it shows that the claims of your religion are not true. Scientists ask a question or make an observation, construct a hypothesis and then test the hypothesis. If the hypothesis fails, then it is wrong and does not reflect reality, and it’s back to the drawing board. You make a claim that science hasn’t “correctly interpreted” all of the evidence. It certainly seems to have so far because science always goes back and checks. Scientists love to show each other wrong, as can be shown by pointing out that all hoaxes about science like the Piltdown man were discovered by scientists, not theologians. As it stands, magic has never been shown to be the answer for any question about how the universe works. You also make a claim that science has somehow excluded evidence that would support a theist’s claim that their god has done something. Could you provide this evidence that you accuse science of excluding? 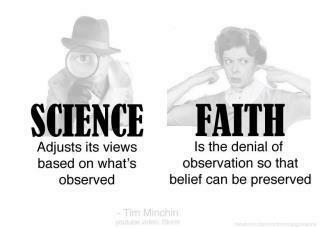 I have no reason to doubt scientists because they present evidence that can be analyzed and repeated. I have no reason to believe you until you do provide evidence of your claims. You attempt to claim that scientists lie. They can and do. 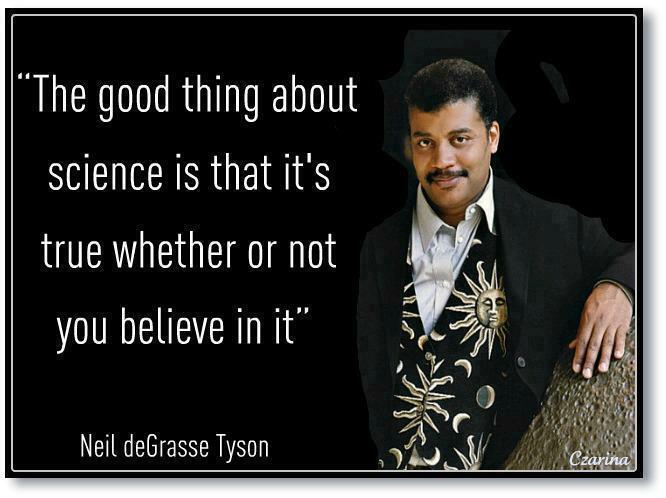 However, the vast majority does not, and those that lie are invariably caught by other scientists, not by theists. You resort to ad hominem attacks like “Perhaps their parents did not express love to them, and they now have a chip on their shoulders, and now they want to show that their opinions matter.” An ad hominem fallacy is when you try to claim that an unrelated aspect of a person is reason to doubt their statements. As I have said, scientific claims are not taken as dogma but are constantly challenged and tested. If someone makes a claim and there is reason to doubt it, then it will be challenged, and not because of an assumption that someone may have had a bad experience with religion or their parents. Recently, there was a letter to the editor in the local paper on why we should allow creationism to be taught in schools. It was from a pastor, Glen Bayly, of the Mifflinburg Alliance Church, a bit north of me in central Pennsylvania. You can find a bit about Mr. Bayly on the ‘net, he’s even been to Ken Ham’s hilarious “museum” of creationism in Kentucky. You know, the one that depends on government tax laws to exist, no matter how much they dislike the government. Ken very much likes Glen, even mentioning in on his blog. He also hates gay people, because they are “Unnatural, immoral, destructive”. All claims without any evidence, as usual. We’ll see that Mr. Bayly often makes claims like this. Now, Mr. Bayly has a radio show, “The Lion’s Den University Report” where he supposedly interviews Christians who are academics in universities. You can see where this is going. Now, we can see who Mr. Bayly has interviewed by looking at his list on iTunes. Hmmm, Douglas Jones an engineer from George Washington University, Bob Guyette, a research physicist at Princeton, economics professors, business professors, etc. We do have a couple of medical doctorates, which is getting closer. But still not one person who has a degree in the actual sciences that Mr. Bayly says are wrong. Well, let’s look at Bob Guyette at Princeton, the most recent interviewee from 2011. I googled Bob Guyette Princeton and Robert Guyette Princeton. Nothing found at all. Not one paper, nothing on Princeton’s website. Indeed, the only reference found for Dr. Guyette is Mr. Bayly’s interview. Dr. Douglas Jones was at GWU but was a associate dean of academic affairs, not engineering. He is a materials engineer, which isn’t terribly known for requiring biology courses. Now, Mr. Bayly seems to believe in a 6 day creation, the very literal version that some Christians believe in and some Christians don’t. 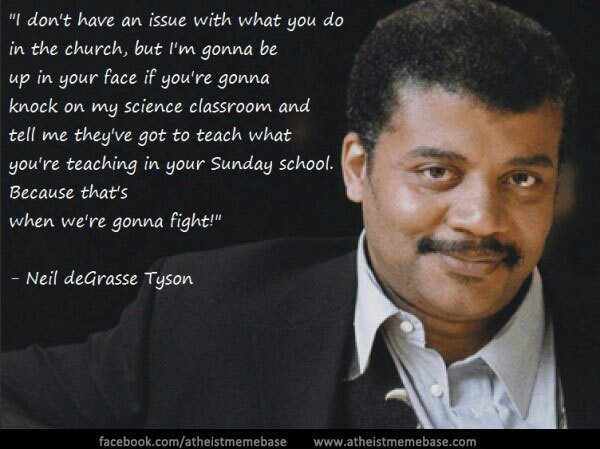 He writes that we should have creationism taught in schools. His creationism, evidently. The version I am addressing was in the Harrisburg Patriot News, but an even more ridiculous version was in a neighboring paper, complete with even more outright lies like this one “It is illegal to even mention this fact [that people believe in religious stories about creationism] in the science classes of Pennsylvania.” Tsk, what a great way to show just how honest a Christian can be. The Sensuous Curmudgeon already ripped this apart, but I thought I’d amuse myself with it too. His letter starts with a quote from the Declaration of Independence, “All men are created equal.”. This has no relevance to what comes next other than to perhaps establish a date and try to hide his nonsense beneath a shroud of patriotism. He then claims that Americans believed in the Christian god as the creator back in 1776 and correctly states that many Americans no longer believe in this, that his god created the universe. He continues to note that human origins are taught in public schools and universities along with evolutionary theory. Ah, here’s where the quote from the Declaration comes in, where Mr. Bayly tries to claim that evolutionary theory doesn’t allow for the concept of all men are created equal. He attempts, like so many creationists before him, to claim that evolutionary theory is only a constant violent struggle between extant creatures. Here he shows his ignorance of what evolutionary theory says, which is that a organism will pass on traits that have allowed it to survive in a certain environment, thus allowing its progeny to do well in that certain environment. Mr. Bayly depends on a false representation of evolutionary theory to make his argument, thus creating a strawman to attack. He then tries again to claim that human life has no worth if one accepts evolutionary theory as how humans came to be. Unfortunately for him, that is another false claim, the usual attempt to claim that the only way to value human life is to believe in a supernatural force. In that many atheists value human life, stand against the death penalty, support charities (even religious based ones), Mr. Bayly’s claim is simply false. I care for people and believe that all are equal because I am empathic, I can see myself in their place. I do not need a god to tell me to hold others important. Mr. Bayly then claims that the only way that anyone can hold humans equal is because of his “infinitely loving, intelligent Creator who made them in His image.”. Of course, any scholar of the bible knows that this is rather silly to claim if one claims that the bible is to be taken literally e.g. meaning exactly what it says. We have in the bible that humans are not equal. Women are considered property (Exodus 20: ) slaves are considered property (Exodus 20, and on and on). Believers of any other god are to be killed with no consideration, not even if they are your family (Exodus 22:20, Deut 13) . One should not welcome people who don’t believe as you, 2 John 1. This is not a god that considers “All men are created equal.” We have one bit in the bible that says that believers are to be considered equal amongst themselves, Galatians 3. That is as close as it gets to the American ideal of equality and freedom. He then claims that it is reasonable to believe in a “superintellligent Creator” in the light of the facts of modern science.” Why, you may ask? Because “many still believe it is.” A lovely use of the logical fallacy of the appeal to popularity. The problem with this is that what happens if one loses the majority? If Islam becomes the biggest religion, does this mean that since “many” believe in it, then it is true and everyone should believe in it? Will Mr. Bayly give up his version of Christianity and spread his prayer rug towards Mecca? He also mentions another lovely canard about how the founders of “modern science” believed in his Christian god, so that means that we should too. Considering that these “founders”, e.g. Isaac Newton, Galileo, etc, also believed in rather silly things like alchemy, should we believe that we can turn lead into gold using mandrake root too? His claim of how “many notable modern day scientists do [believe] also” is of course lacking of any evidence of this. We can see that in his very own list of “academics” above. Mr. Bayly claims that the evidence for evolution is compelling to “some”. Those some include Mr. Bayly since he has no problem in using things that depend on that theory and has no problem in accepting the same science that supports evolutionary theory when it makes him nice and comfy in his modern life. So, we do see that Mr. Bayly wants only his religion to be taught as the truth in public schools, and he wants a “Constitutional Amendment to do so. He wants to pretend that only Christians of his type made the US great; eh, who cares about all of those “other” people who worked and sacrificed for the ideal of the US. He wants only his version of his religion to be taught, that every other religion is to be taught as false, including other version of Christianity which says that the creation story is a metaphor and that evolution theory is fine, if perhaps started by the Christian god. This is the typical conservative Christian here in the United States, wanting a theocracy for them and only them. This is the only time that they appreciate government, when they think they can use it to force others to worship as they do. In any other instance, they don’t trust public schools to do anything right. I am glad that such wannabee theocrats do have the same rights of free speech that I do. It allows everyone to know that we always have to defend our rights against such nonsense. All humans should have equal rights. That’s the thought from a bunch of people who wrote the Declaration of Independence wrote, Christians of all different types and non-Christians, not some religion having dominance over everyone. 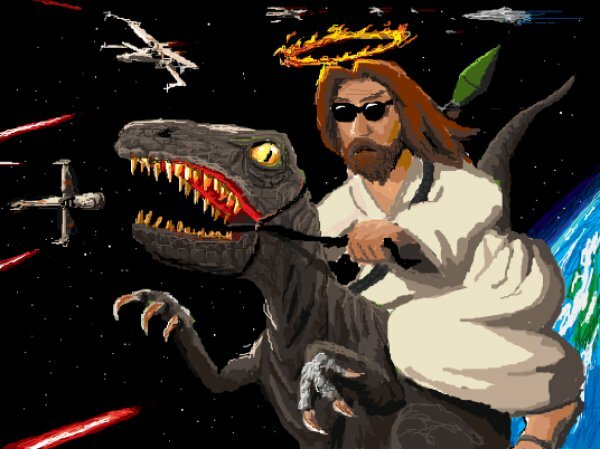 The querent this week asked if the Judeo-Christian god created the universe in seven days, where do the dinosaurs fit in. They note that the fossil record shows that humanity and the dinos were separated by “millennia” (a millennium is a thousand years). Of course, the fossil record shows that the dinos and us are separated by many many millennia, around 65,000 millennia aka 65 million years. Gellman notes that there are various kinds of creationists. The most ridiculous are the young earth creationists (YEC) who believe Bishop Ussher’s claim that the universe was created on October 22, 4004 BC in the evening, etc, etc. There are old earth creationists (OEC) who believe that the universe is older, from just a little older than Ussher’s claim to as old as the current data from cosmology shows, around 14.7 billion years for the universe, and 4.5 billion years for the earth. These creationists also vary in what they believe about evolution. 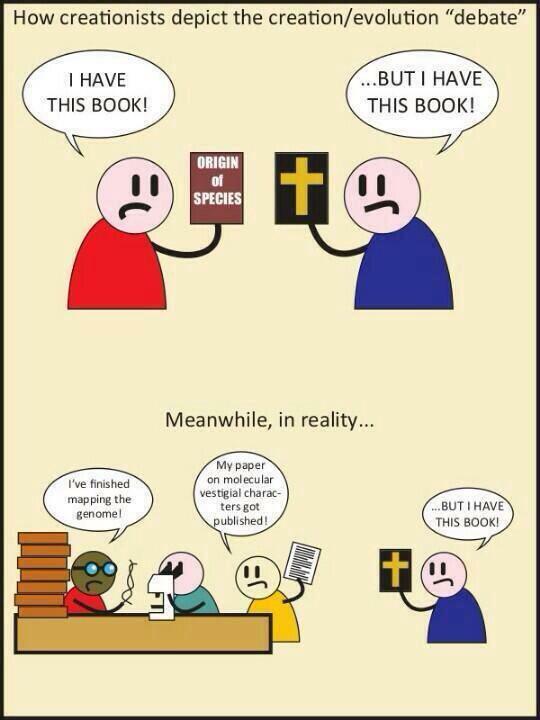 In general, YEC are sure that their god created all the animals as we know them today, all at once. They often also claim that all animals were vegetarians until the magical “fall” of mankind. OEC can vary on how much they think evolution played a part, from none at all, to essentially indistinguishable from an atheist, though they claim that their god started the whole process, very much like a Deist. We also have a very sad quote from Kurt Wise, Geology Ph.D, who decided that he had to decide either the bible was true or science was, and he threw out science because it dared counter the nonsense in the bible. Alas, this is what fear and arrogance does to people, sure that they will be punished if they don’t believe “correctly” and that they do believe correctly. He’s also as good as our Christians apologists here on the website for not being able to provide one iota of the scientific evidence that he claims supports him. Wise also seems to think he can pick and choose the science he finds to be true. Alas for him, all science is based on the same method. If it works for it all, then you can’t decide which is true and which isn’t. The same science that supports evolutionary theory supports modern criminal forensics, medicine, computers, internal combustion engines, etc. It’s also great to note that YEC theists and OEC theists are absolutely sure each other are wrong, and both again have no evidence to support their nonsense but are sure that they and only they are the TrueChristians (examples: it’s a sin to be an OEC, per a YEC who is trying to scare everyone, and and Pat Robertson the OEC saying that the YEC position is “nonsense” ). Gellman correctly notes that this quote from Wise presents a false dichotomy, that one has to accept one or the other fully. He unfortunately claims that one of the possible other answer is “intelligent design”, the idea that some magical force had something to do with how the universe works, e.g. how it is designed. Intelligent design can be either YEC or OEC, because it simply says one can see design in the universe, it does not require evolution as science knows the term. It can also be of any religion, since there is no way to know which god/force, if any, was the creator. It has been cloaked by theists in claims that it could also mean that aliens could be the creator but that does nothing but push the essential problem, who was the original creator, one step back. It is entirely a religious concept, and almost entirely a Judeo/Christo/Islamic concept, no matter the attempts to claim it otherwise. One can see how the claims played out in the Dover case. Even a conservative judge knew the claims of ID supporters to be were lies, nothing more than certain sects of certain religions trying to get their religion forced on everyone. Gellman takes refuge in claiming that “Darwin’s hypothesis was more theory than scientific fact.” That shows that the rabbi has no idea what those words mean in the scientific context and that he is very unfamiliar with evolutionary theory as it stands today. Darwin, as nifty as he was, got some things wrong. And science, has shown that, not religion. Gellman says that the reason he knows that evolution is wrong is that it cannot explain human consciousness. Alas for the rabbi, his argument depends on the assumption that it will *never* be able to explain it. It also depends on the assumption that if we never find exactly why human consciousness happened, somehow all of the evidence that supports evolutionary theory is wrong. I do hope that the rabbi will stop taking antibiotics since the science used to make them must be wrong and he must believe that they simply can’t work. He does acknowledge that ID is “more religious belief than scientific fact” because it cannot explain how intelligent design works. It simply says “god/magical force did it”. He claims “each side got some things right and some things wrong”. And this is nothing more than pandering to the theists. There is no evidence that they have gotten anything correct about the origin of the universe by anything other than luck. There is evidence that they got things wrong over and over. Gellman says that “evolutionists” are right in pointing out the bible isn’t a science textbook. What he neglects to mention that it is also not a history book, and has very little, if anything, unique in it. He claims that the bible is “very old and very young”, that the parts about love and forgiveness are the “young parts” and the parts about a geocentric universe, the earth is flat, and the universe being created 5774 years ago (Jewish calendar) on October 23 at 10:30 AM, are the “old parts”. So we are not to believe them because they are old (not to mention silly), but the new parts are somehow magically true? It seems that the rabbi is not so much Jewish as Christian if we are to believe those new parts, including that new part about the messiah having come and resurrecting. He says that science has “changed” and that tethering faith to “ancient and discredited science only assures us of an ancient and discredited religion.” Which shows that science leads and religion follows. Unfortunately for the rabbi, there wasn’t science in the bible, discredited or not, only baseless stories about magic and events that never happened, in both the “young” and “old” parts. It is still an ancient and discredited religion. Gellman says that the creationists and “intelligent design-ites” are right in pointing out the “utter uniqueness of human consciousness – something that appears nowhere else in nature.” Of course, this again assumes that what we know will not change. Rather than saying “yet”, the rabbi thinks that science will stand still, as he seems to think that evolutionary theory has stayed still since Darwin and has not changed. That’s why ignorance is not a good place to start when trying to defend your position. He makes the common theist claim that our brains can be products of evolution but how we think, pray or forgive cannot be, that they must be some magical thing. Unfortunately, neurological research moves ahead and the theist remains behind, desperate to cling to ignorance to save his belief. He also makes yet more claims that depend on his belief that nothing will change or will be discovered. No, Rabbi, evolutionary biologists haven’t been able to fully describe how forces shape us, but that appears to be just a function of time. They haven’t been able to fully describe things *yet*. Your faith depends on a false belief that we will never find out anything else. That is the classic god of the gaps argument. Gellman also makes the baseless claim that “the laws of nature explained by evolution are not only insufficient but they are also the opposite of what we truly are as spiritual beings” e.g. the moral human argument for a god. He of course does not say how they are insufficient and how he knows we are “spiritual beings”, a conclusion he has reached based on his belief that we somehow *must* be something “spiritual”, based on his religion, a religion that has nothing to support its claims. He claims that “even ID” gets this wrong and only “faith” gets it right because nothing else supposed explains why we are “at our best compassionate and reflective” while nature is “amoral and bloody”. 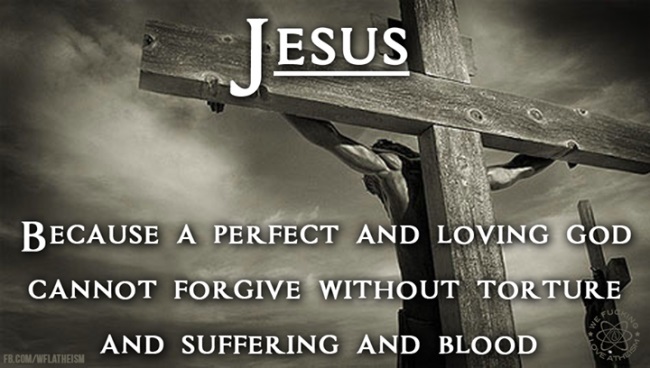 Humans are certainly amoral and bloody too, as is the Judeo/Islamo/Christian god as described. Finally, as so many theists have claimed, Gellman claims that the “higher purpose” of our human existence is with his god and that no scientist can begin “to understand or describe” the way to his god. Evidently no other kind of theist can either, which is what they say about their gods too. What this purpose is, the rabbi doesn’t go into details, though his bible does. If his young/old bible is right, this higher purpose could be several things, death with nothing else, a heaven that isn’t that much different from this life, an eternity of endlessly praising this god, or a city of gold and jewels on a new earth. I suppose it depends on how he cherry picks this too: is it just the silly old bible with its silly claims or the shiny new one, with its silly claims? Evolutionary theory may not be able to explain the origin of the human soul. In that no one can show that it exists or agree on what it is or how it interacts with a physical body, etc. that’s not surprising. Many are writing about the debate between Bill Nye and the TrueChristian Ken Ham. Expectedly, given the result, some TrueChristians are insisting that it is only “Ham’s type of Christian” that has lost so badly. They are smug in their superiority that *their* magic decoder ring is the only right way to interpret the bible. 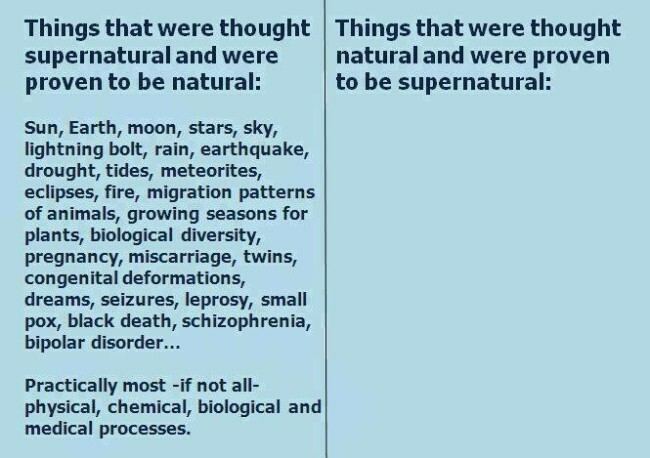 Unfortunately, unless they are a very odd type of Christian (perhaps the Thomas Jefferson type) that does not believe in supernatural acts that ignore physical and chemical laws, no miracles, no resurrections, they are just as ridiculous in their beliefs. Ham is adamant that one cannot know what happened in the past unless one was a direct observer. Thus he claims that evolution can’t be shown to be true since no one was there to watch it start. He of course insists that he knows that the Christian creation myth is true because God was there and God told us it was true through the medium of the bible. It’s not terribly hard to see just how hypocritical this is. The biggest problem with this is that theists can’t show that their gods exist. Christians can’t show one shred of evidence, so we have a “witness” that seems to be entirely imaginary. The demand, “Defense attorney, produce your first witness.” Is met by silence. But let’s assume that the Christian god (all-powerful and all-knowing) exists for a moment and consider what is claimed to be his written testimony. “I’m sorry, judge, he can’t be here but we have a book that the defendant says was written by him.” What about its supposed witnessing, the Old Testament and New Testament? If the bible is to be considered an inerrant accurate depiction of past events, as one type of TrueChristian claims, that is controlled by an omniscient and omnipotent being, it should have no errors in it. So, is the bible a trustable source? We have no evidence that it is. Many of its claims can be shown to be wrong and that other events occupy the place that the purported events in the bible are claimed to do. Since they can’t both have happened, the one with the evidence is the one to trust as real. For instance, there is no evidence of a worldwide flood at any time. Even more problematic, believers cannot agree on what times should be looked at for these magical events and many don’t want to even give a date since that opens them up to critique. Indeed, many of them are sure that the witnessing can’t be taken as literally what happened but only a story given to a people who did not understand scientific information as a vague description of what really happened. What we do see is that the usual physical and chemical processes, abrupt and gradual, happened without cessation. The bible claims that entire cities will be lost and never found again, i.e. Tyre. It’s still a city, hasn’t stopped being lived in and we know where its ruins are too. As you can see, the bible does mention some real places, so it can occasionally get things accurate. But it is unreliable, with baseless claims mixed into a real world, just like myths from many religions. As other posts on this blog have asked: why believe one set of baseless claims over another? Still no answers to that. I do find Ham to be a liar. Some have offered the excuse that he isn’t because he “really believes” the nonsense he spreads. However, Ham has kept himself ignorant of evidence against his position. He says directly that nothing would change his mind. Willful ignorance and the intention to pass on that ignorance shows intent to make sure no one knows the facts, aka lying. Not So Polite Dinner Conversation – The seasonal blooming of creationism, it’s school time! The school year is about to start in Pennsylvania and of course the creationists are in bloom. How appropriate that our current wannabee theocrat is named Rep. Stephen Bloom, a state representative who wants his religion’s creation story taught as science (here’s his website, and it has an auto play ad on it thanks to a youtube embedding). At the moment, there is no actual bill and the representative is looking for co-sponsors (aka people to give him moral support and some veneer of respectability for his theocratic attempts). Unsurprisingly, Rep. Bloom makes the claim that he just only wants to preserve “academic freedom in Pennsylvania”. But that of course is a lie since he has no desire at all to allow all religions to have the same “academic freedom”, only Christianity. Rep. Bloom says that ““Efforts to squelch and stifle free critical inquiry in the classroom have too frequently arisen, often in the context of the teaching and debate of controversial scientific theories and paradigms.” Unfortunately, the representative is trying to play pretend that creationism is a scientific theory which is it not. Creationism is not like the competing theories of cosmology, which can be shown to be true or not depending on observation and experimentation. Creationism is a claim that some god, in the good Rep’s case his personal version of the Christian god, created everything. However, no one has any evidence that the supernatural exists, much less that a particular god did anything at all. We have no more evidence that this version of one god was the ultimate creator than we have that Vishnu was the creator god or that the four creator gods (the reader may be familiar with two, Tezcatlipoca and Quetzalcoatl) of the Aztecs are the creator gods. None can provide that their gods are the “true” ones, and thus the claims cannot be shown to be untrue like real scientific theories. Rep. Bloom also says this “”This is not prescribing any religious teaching in the school,” he said. “There is no prescription that any religious-based theory be taught.” Again, this may be technically true, but it is no more than another attempt at deception. What other “teachings” are there to be taught that counter evolutionary theory? Oh yes, there is that thing called “intelligent design”. Which Judge Jones exposed as nothing more than Christian creationism in the Kitzmiller vs. Dover case. There are very few that posit aliens are the “intelligent designers”, and at best this pushes the ultimate designer only back steps. Not So Polite Dinner Conversation – happy ridiculous holiday weekend! Would you like to sit outside?